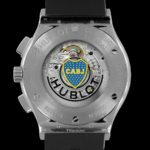 Hublot is now becoming the watch partner of the Club Atlético Boca Juniors as its Official Timekeeper, Official Watch and Official Sponsor. 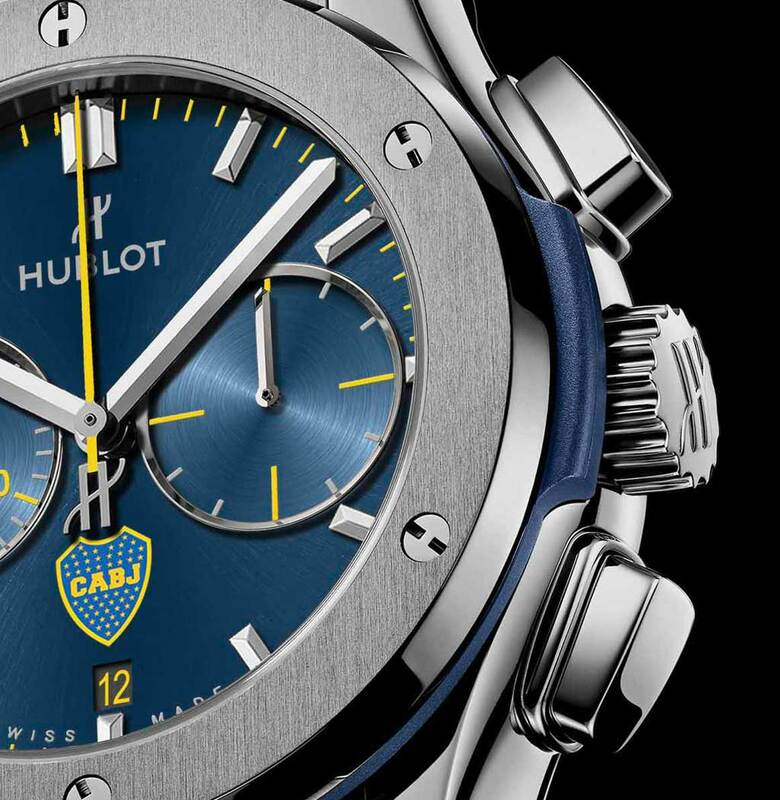 A union resulting in the launch of an exclusive watch: the Hublot Classic Fusion Chronograph Boca Juniors. 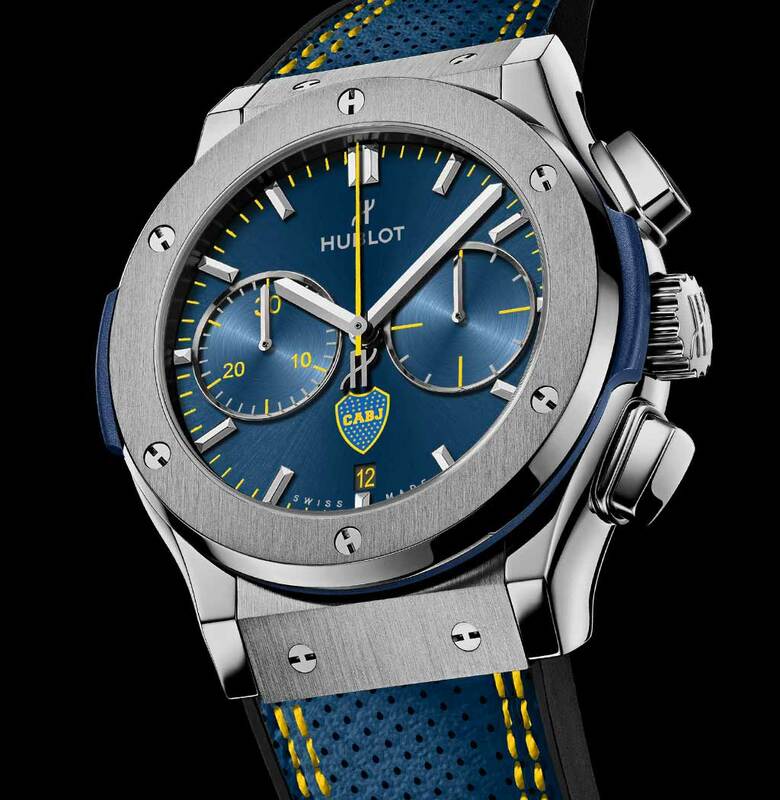 This exclusive version of the Classic Fusion chronograph sports the colors of the Boca Juniors: blue and yellow! The logo is visible on the dial and the crystal of the back cover that opens onto the automatic movement. 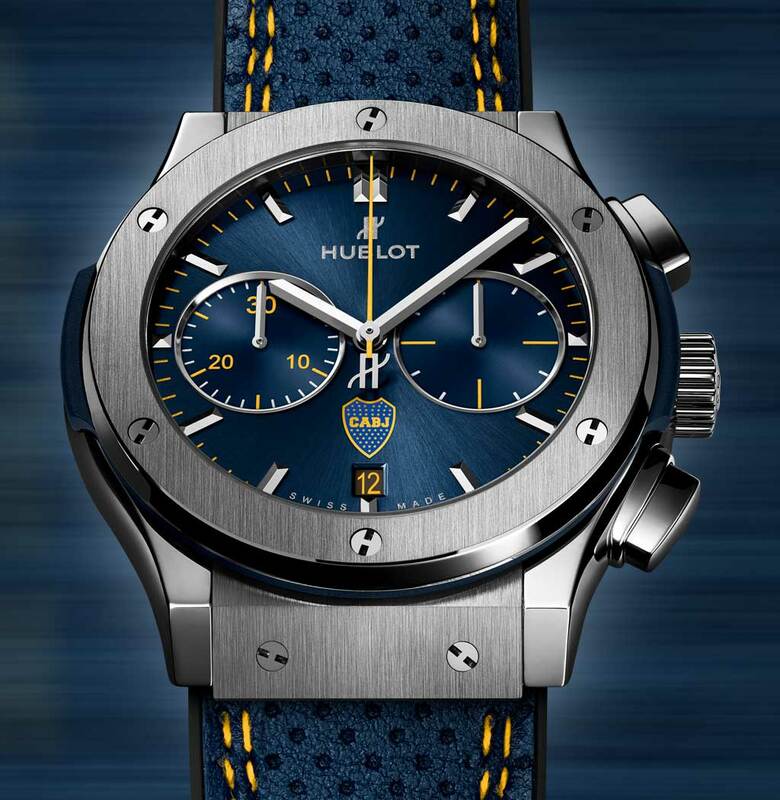 The strap, which is also blue, is finished with yellow double stitching. November 2018 could not be better timing for this limited edition launch date as Boca Juniors sets up a historic Superclasico Copa Libertadores final, South America’s most important soccer club tournament. 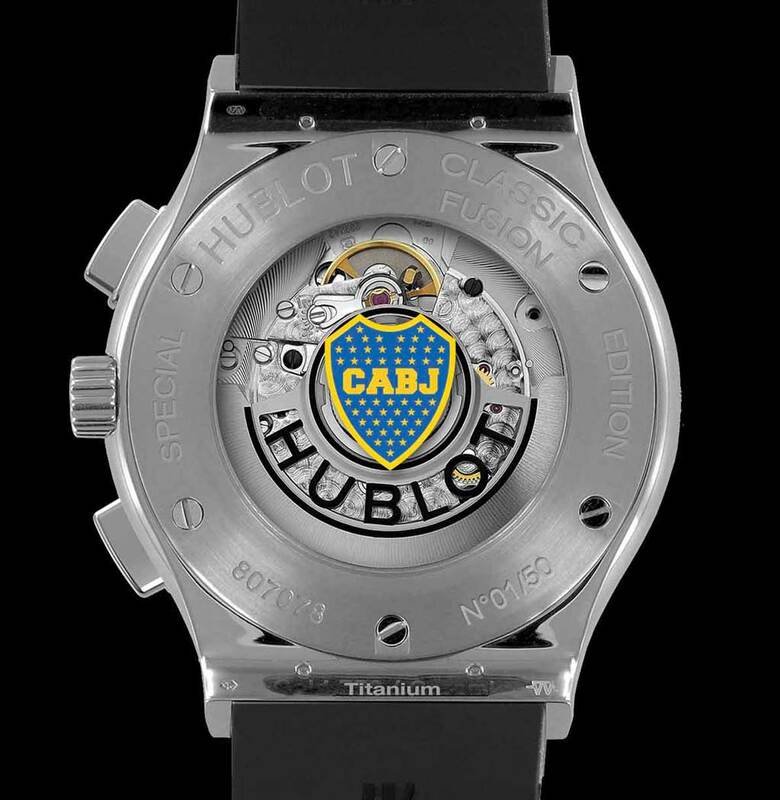 The watch series was launched at the Alberto J. Armando stadium in Buenos Aires, known for its name “La Bombonera”, the home of Boca Juniors Club Atletico. Argentina’s television personalities Pampita (Ana Carolina Ardohain) and Pollo Alvarez welcomed guests for a unique presentation. 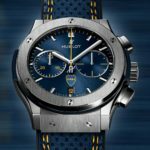 The launch of the Classic Fusion Chornograph Boca Juniors happened on the football pitch as guests watched from the new HUBLOT VIP space and presidential box (Palco presidential) of the stadium. 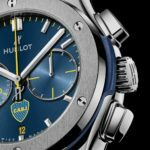 Hublot’s CEO, Mr. Ricardo Guadalupe, first held a speech next to Boca Junior president Mr. Daniel Angelici and Boca General Secretary Mr. Christian Gribaudo, along with select Boca players who then announced the countdown to the reveal of the watch. Special guests included Guillermo Coppola and football legends Rolando Schiavi and Coco Basile who also joined for the grand opening of the Hublot VIP and the Palco Presidencial (presidential box), an exclusive area of the second-floor center field of the stadium that has been personalized with Hublot’s branding and DNA in celebration of this unique partnership that continues Hublot’s special mark in the world of football.